Why rabbit finance car for cash? Benefits for rabbit finance customers. Find highest loan amounts, and lowest interests. We only work together with Thailand’s leading car loan providers to secure or customers. A fast application and low restrictions. Cars for Cash is perfect for financial emergency. Click the apply now button and fill in the form with the needed personal and vehicle informations. Our service team will call you subsequently. After our service call and with the necessary documents you need to follow the advises of your provider. You will receive the money as fast as possible. You can choose the time periode (depending on the provider) you want to repay the money of the loan amount. Benefit from lower interests as with conventional loans. I needed fast money for medical expenses. With rabbit finance I was able to get a cash for car loan within 20 minutes. This is the perfect solution for emergency situations. Last month I was ill for two weeks and not able to work. Due to this I got a lot of short-term financial problems with all my monthly expenses. The car for cash loan with rabbit finance saved us in this situation. Subsequently I needed only 2 weeks to rebuy my car. Thanks rabbit! Sometimes there are situations in life where it is necessary to get easy money. For example, if you will have medical expenses if you need money for your business if money for your family or other financial problems. If you try to get a loan from the bank it is often the same problem. You need to meet a lot of apply requirements. Especially for people who have no fixed job, it is nearly impossible to receive money. Exactly for this situations, the Cash for Car exists. Even without a full-time job, you are able to give your vehicle as a collateral and receive quick money for it. An additional argument for a leasing loan is the total repay amount. The conditions of car loans including cars for cash are mostly better than with a personal loan. Contrary to selling your motorbike, with Car for Cash you can keep on using it. The only thing you need to do is to decide in how many installments (depending on the provider) you want to repay the money. Moreover, you only need to repay the same amount as you got before. The only additional costs are small interests. With the service of our Car for Cash providers, it is not necessary to waste time searching for a new vehicle if your finacial should change and you decide to want to have a car again. Moreover you are not addicted to changing prices of car sellers. With signing your Cash for Car contract you will exactly know the total repayment amount for your car. You can be sure that you will not lose more money than the small amount of interest. We guarantee, that our Cash for Car providers do not have any hidden costs. Muangthai Leasing is one of the premium car and motorcycle loan partners of rabbit finance. The company was founded 1992 and has been growing continuously. Today it is the leading motorcycle and car loan business in Thailand. With more than 5,000 employee and total 2,046 branches. The Company continues to focus on expanding their car and motorcycle loan service to cover all regions in Thailand from provinces to districts, districts to sub-districts with a plan to expand to 2,200 branches by 2017. For rabbit finance, it is important to work together with a trusted and experienced company to decrease the risk for the customer to lose money because of any risks. Because of low requirements, it is very easy to get a vehicle loan with Muangthai Leasing. Use our website and get a recall within a few minutes. Give our staff service the necessary information and get a loan offer immediately. After this, you can visit a branch of Muangthai leasing with all required documents and receive your money within 20 minutes. Leasing loans of Muangthai Leasing are by far the fastest way to get quick money for emergency situations. The Thanachart Bank started its operations in 2002 with the head office in Bangkok. With more than 600 branches all over Thailand is it the sixth largest bank of Thailand and the leading car lender. With Bank assets exceeded one trillion Baht, Thanachart Bank is providing all types of financial services to more than 4 million customers. The mission of Thanachart Bank is to provide the customers the best financial products of Thailand and make sure to give them the highest satisfaction in quality and service. The financial product of Thanachart Bank for car owners to receive easy money or emergency cash is Cash Your Car. It is possible to apply Cash your car in one of the Bank branches in Thailand. The excellent service staff and will be able to answer all your questions about the personal amount, interest rates, installments and more. Furthermore, the experience as Thailand’s market leader of hire and purchase business and the using of ISO standards for rating the car value makes Thanachart Bank to a trustable loan provider. Ngerntidlor is another great options for Car loan, because its goal is to support and improve Thai life’s quality by granting an access to fair& judge financial transaction. The company started on 1980 as a Car Loan business in Phetchabun province named “Srisawat Phetchabun Co., Ltd” and served Thai customer for longer than 10 years. Later on, the business grows and span to more than 130 branches nationally and became “Srisawat International” in 1991. CFG co., ltd, subsidiaries of AIG Group bought a branches assets and kept improving, became “Ngerntidlor Co., LTD” as we see today. 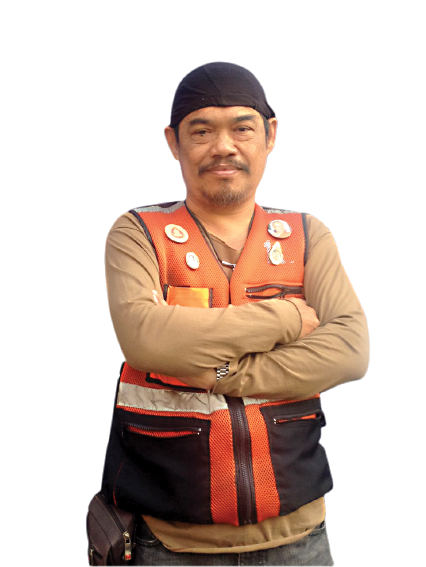 Ngerntidlor offers a full financial services from insurance to loan, but the unique selling point of it is a Second-Hand Truck leasing, as well as Motorcycle Loan, Car and Pick-up truck loan and Truck Loan. Own private vehicle: Vehicle must not be older than 20 years old, both transferred ownership and not.